Seoul is the capital and also the largest city of South Korea. The city of Seoul combined with Incheon and Gyeonggi are home to more than half the country’s population. This means that the culture here is extremely rich. And today, we will focus on the cuisine. 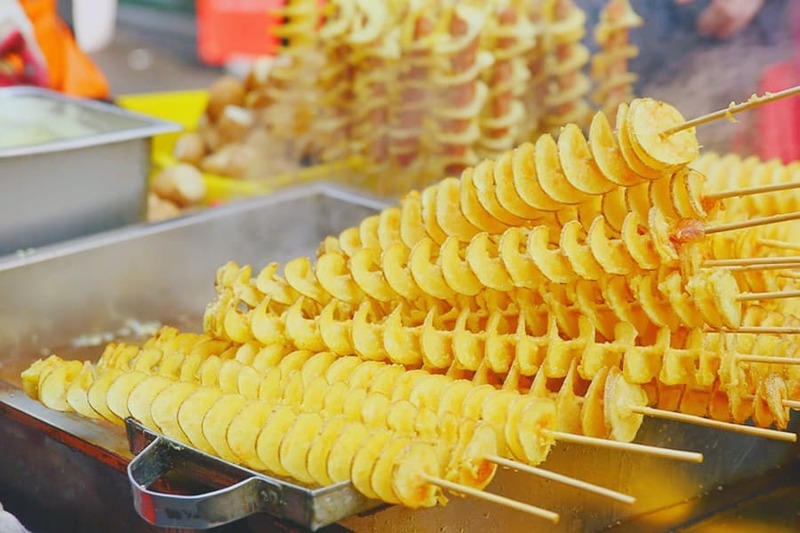 Seoul Street food in particular and Korean street food as a whole is truly a sight to behold. 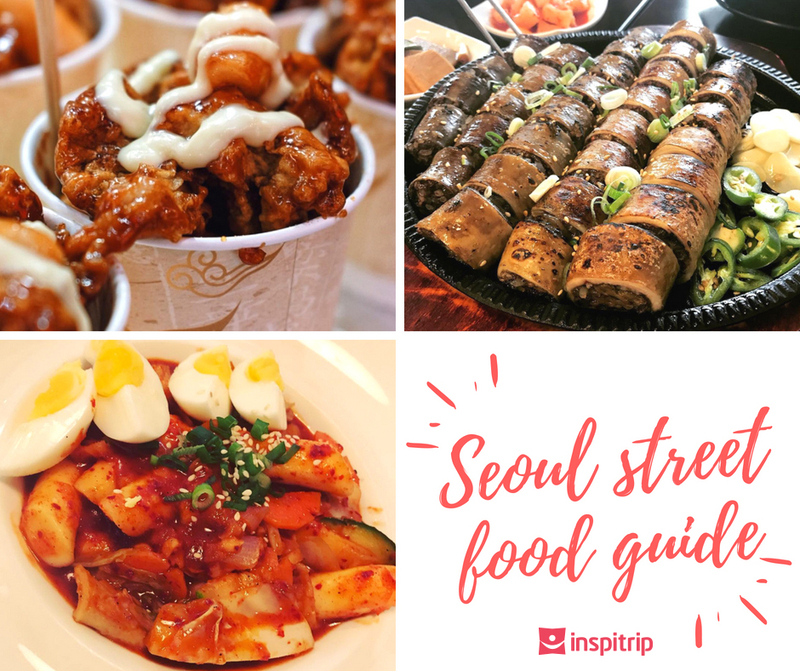 Just like street food around the world, street food in Seoul can be considered the fastest, cheapest, and easiest way to take a sneak peek in the culinary culture of Korea. Indeed, exploring the rich and diverse culinary culture is one of the awesome things to do in Seoul. However, there’s one thing that you must note. Koreans are very fond of spicy and deep fried food, so if you can’t handle the heat, choose your food wisely. You have been warned. Now, let’s get to the food! Be prepared to leverage your palate to a whole new level with the paradise of good food in Seoul! Tteokbokki or Ddeobokki or Korean spicy rice cakes are one of the most popular dishes when it comes to Korean street food. It’s very easy to spot this dish. It has a thick, blazing hot sauce and the cakes are long, white and cylinder-shaped. 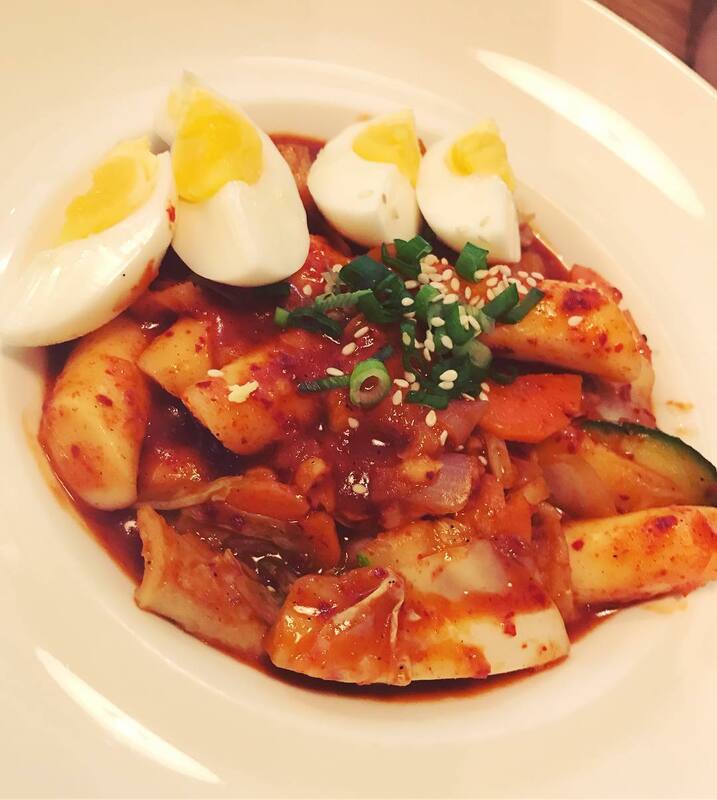 The most common form of Tteokbokki is usually the combination of fish cakes, boiled eggs, and scallions. As you chew along, you wonder if it’s a tad bit too spicy to handle, but then it’s too late because you find yourself already addicted to this dish. Odeng served with warm, tasty broth is the most popular form. There are also various ways of serving Odeng. For example, when combining Odeng with chilies, gochujang, and green onion, you can get something much more filling and more robust. It’s also a great cure for hangovers. Another popular form of Odeng is deep-fried Odeng. It’s extremely tasty, especially when paired with mustard and ketchup. Wonder where to get the ultimate culinary pleasure in Seoul? 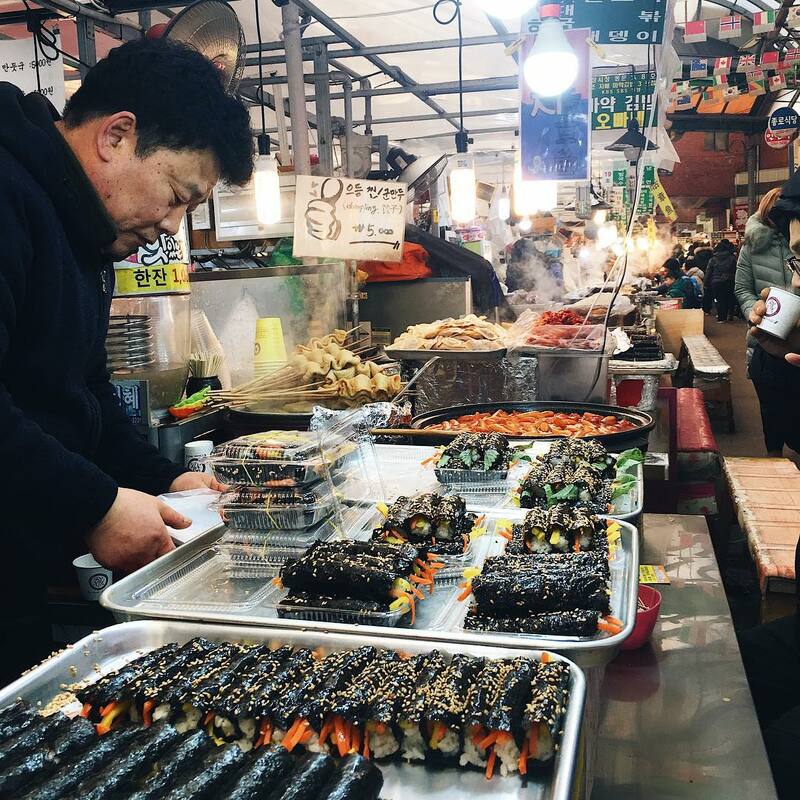 The best food experts in town will help you to make the most of Seoul food paradise! It’s possible that there are as many ways of making fried chicken as there are countries in the world. 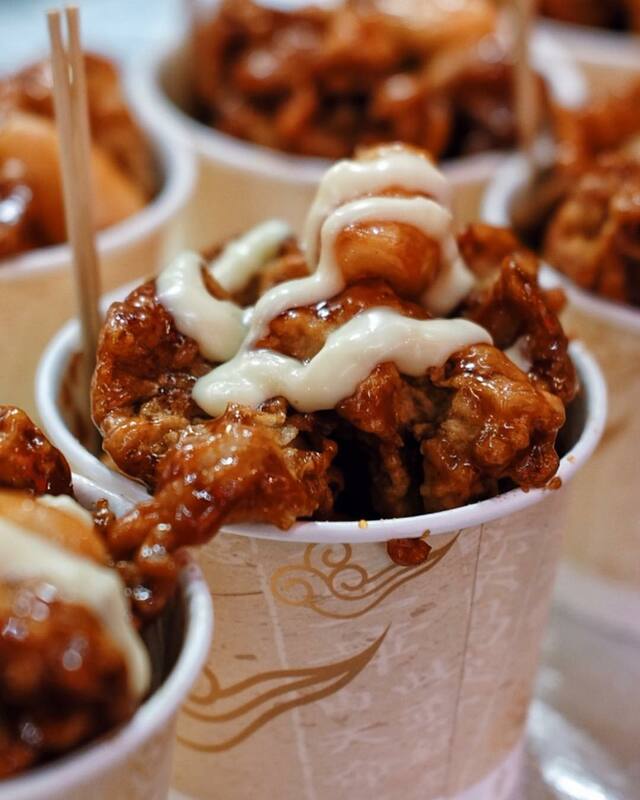 Chimaek is the Korean version of fried chicken and one of the must-eat items when it comes to Korean street food. The thing that sets Chimaek apart from all other fried chicken recipe is the heat. When having Chimaek, expect it to be spicy, just like most other Korean street food. It has spicy, crispy, thin skin that will heat you up with every bite and make you come back for another. 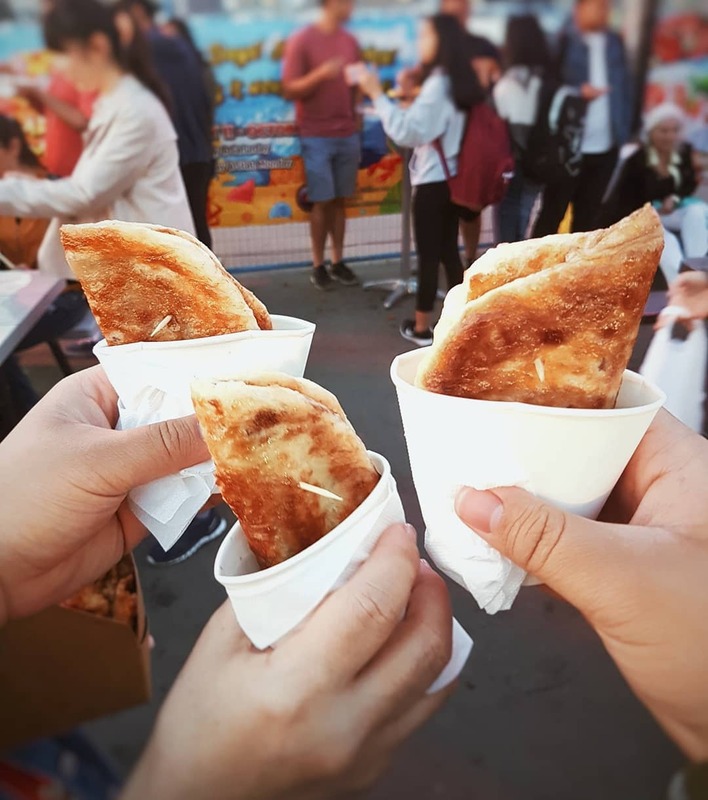 When you buy it at food stalls, they usually cover it with honey-mustard sauce, which makes the heat more bearable if you’re not into hot food. Chimaek is usually served in a cup, along with french fries and rice cake (a Korean delicacy). Remember to get the large cup, so you can have more because you can never have too much Chimaek. Legend has it, Chimaek tastes best when being served with good Soju. And only the food savvy from Inspitrip knows where to get the best Soju in town. The price differs depend on the size of the cup. From 500 Won (US$ 0.50) for the small cup and 18.000 Won (US$ 16.50) for the big cup. 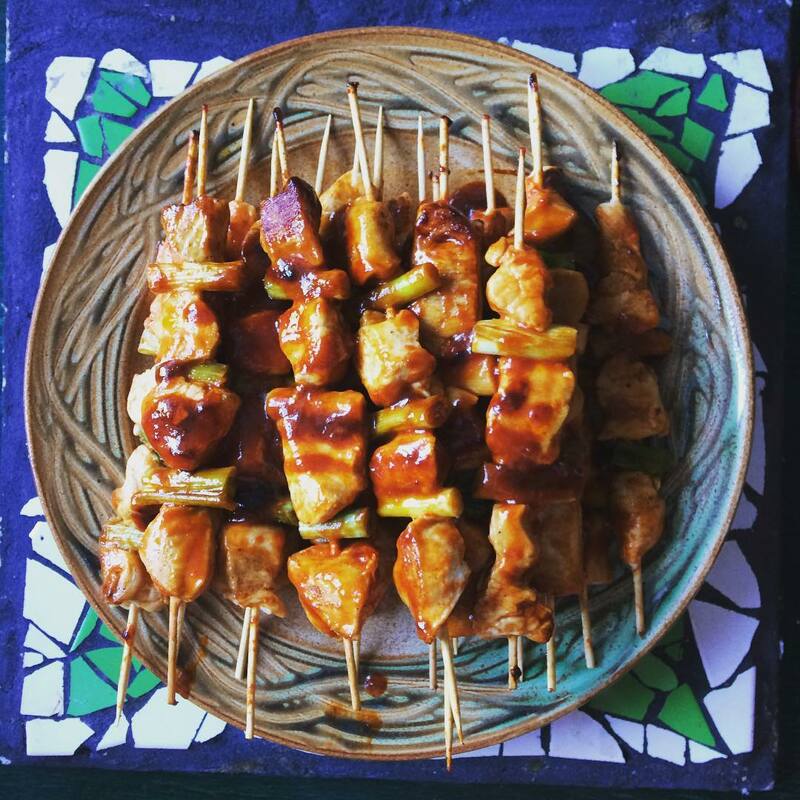 If you want to “test the waters” before you jump into the Korean street food culture, you can start with Dakkochi or grilled chicken skewers. It’s an easy introduction to Korean cuisine. It is something very strange, yet very familiar. Pieces of tender chicken marinated and glazed with a plethora of sauces before grilling. Despite having great flavor on their own, Dakkochi is still best when paired with Korea’s many kinds of spicy sauces. A bite of Dakkochi combined with a sip of cold beer is truly an amazing experience. Dakkochi, like other Korean street food, is very cheap. You can go through ten, maybe fifteen sticks without making a huge dent in your budget. And like I’ve said, you can easily go through ten or fifteen sticks. Each stick cost about 500 Won (US$ 0.50). Tokkebi is the name of the evil creatures in Korean folklore that usually use their magic to play tricks on people. But in Korean street food, Tokkebi is a deep-fried hot dog covered with french fried bits. Koreans seems to have a great passion for hot dogs and sausages. Maybe that’s why they constantly come up with new and fresh recipes, and one of them is the deep-fried masterpiece that is Tokkebi. Some food stalls often raise the bar by coating the hotdogs with crushed ramen. Pancakes are nice and all, but have you tried stuffed pancakes? Hotteok is the Korean adaptation of the ordinary pancakes. They usually fill it with all kinds of sweet or savory filling. Although it looks and feels like a pancake, it actually kind of like a donut. It has various versions. For instance, the filling can be red bean paste, sweet potato, ground peanut, onions (yes, onion) or japchae (a form of noodle) and much more. You will find Hotteok much tastier when you eat it fresh from the pan. But be cautious, it will be very hot and the filling might burn your tongue. Imagine this, fried potato, but on a stick. The tornado potato is one of the trendiest dishes in Korea. It originates from Seoul, Myeongdong District to be exact. In this dish, the potato is skewered on a stick, cut thinly into the form of a tornado. The cut is thin enough for it to hold flavored powder. The dish was a spectacular hit in Bangkok and Manila. The common flavors of the dish are barbecue, cheese, and salted. You can combine it with all kinds of sauces if you want to. 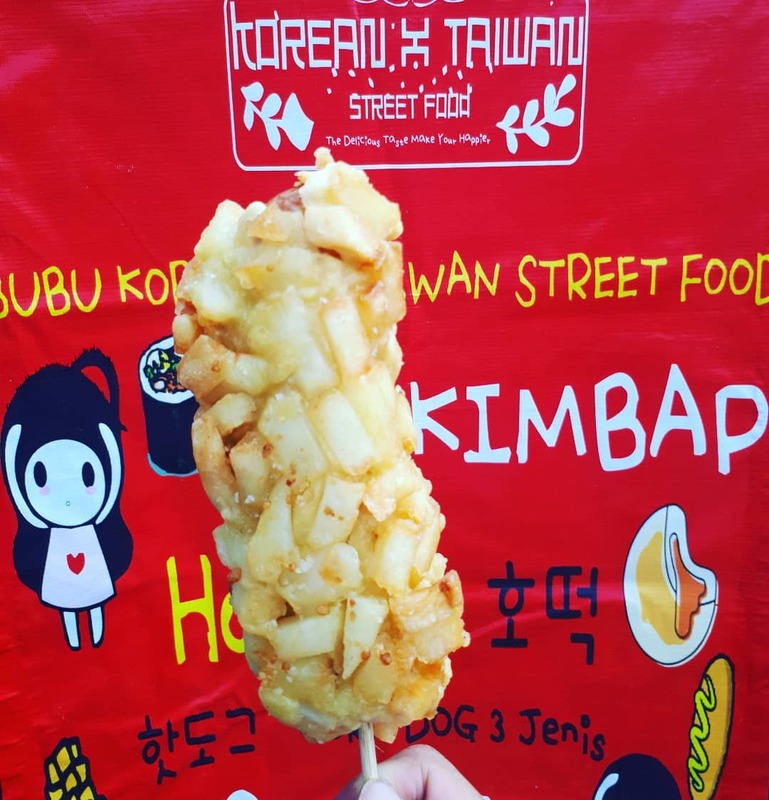 With just 500 Won (US$ 0.50) you can get a stick with a whole fried potato on it, it’s great for photos too. Let me be clear here. Do not confuse “Soondae” with “Sundae” when a local tries to offer you one. Trust me, it’s completely different from the icy-cold, sugary treat. You can imagine Soondae as the Korean street food version of blood sausage. It’s truly a delicacy. Some may think that the idea of eating pork blood is disgusting, but the dish is the favorite of many people. The Korean have their own way of preparing this dish, to make it different from its relatives. They mix it with glass noodle or sticky rice and then the sausage will be either steamed or boiled. Soondae usually has the side dish of pork innards and gochujang. In other places, they use seafood as the casing for the sausage. 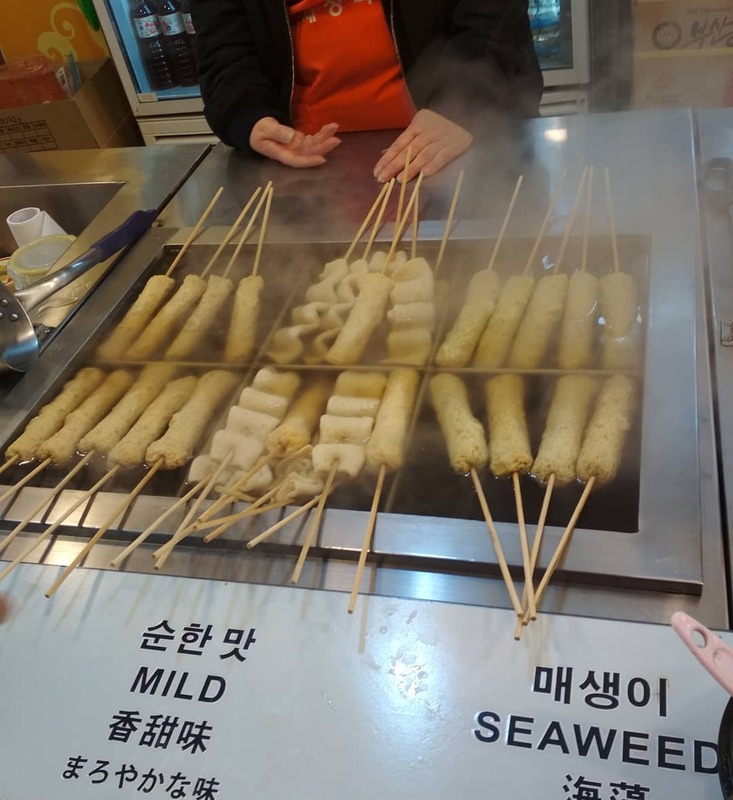 In Gangwon, people use fresh squids, in Gyeonggi they use dried squid. They also use Alaska pollock as the casing, making the Soondae quite bizarre. Jokbal is a Korean street food dish consisting of pig’s trotters (yes, pig’s trotters) cooked with soy sauce and spices. It is usually braised in a combination of soy sauce, ginger, garlic, and rice wine. There are additional ingredients such as onions, leeks, garlic, cinnamon and black pepper. Don’t be afraid, people slice the trotters into pieces before serving. But you can just dig in if you want, who am I to judge. 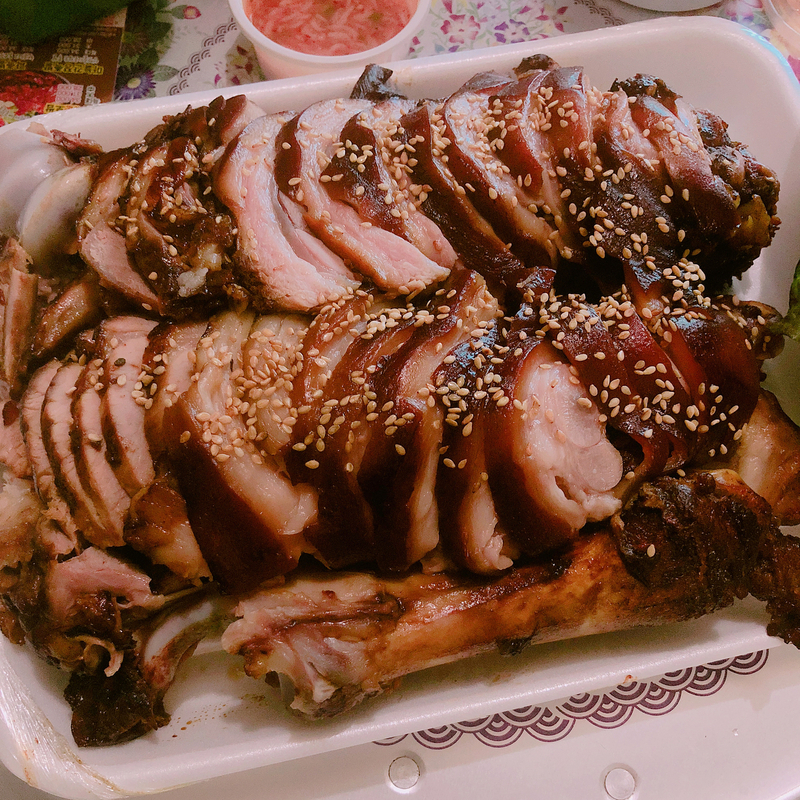 As Jokbal is usually shared by several people, they generally serve it in large portions. Due to the fact that it is greasy and has a strong flavor, Korean diners consume it as ssam (wrapped in a piece of lettuce and dip it in sauces). Jokbal is considered an Anju (food usually eat with a bottle of alcohol), thus it’s often accompanied with soju. Vendors serving Jokbal frequently offer both a regular and a spicy version. There are other variations of the dish as well. Busan-style naengchae jokbal for example, people often serve it cold and garnished with chilled vegetables. Pajeon is another variation of the Korean pancake. Its batter contains eggs, wheat flour, rice flour, scallions and some other ingredients depending on the version of the dish. Beef, pork, kimchi, shellfish and other seafood are among the most popular toppings of Pajeon. When you look at the dish, there’s one thing that definitely stands out. There are lots and lots of scallions. They make the dish by first frying large amount of scallions on the pan. Then they continue to add the batter before topping it with more scallions. The chef then flips it over to finish the dish. There are many adaptations of Pajeon. 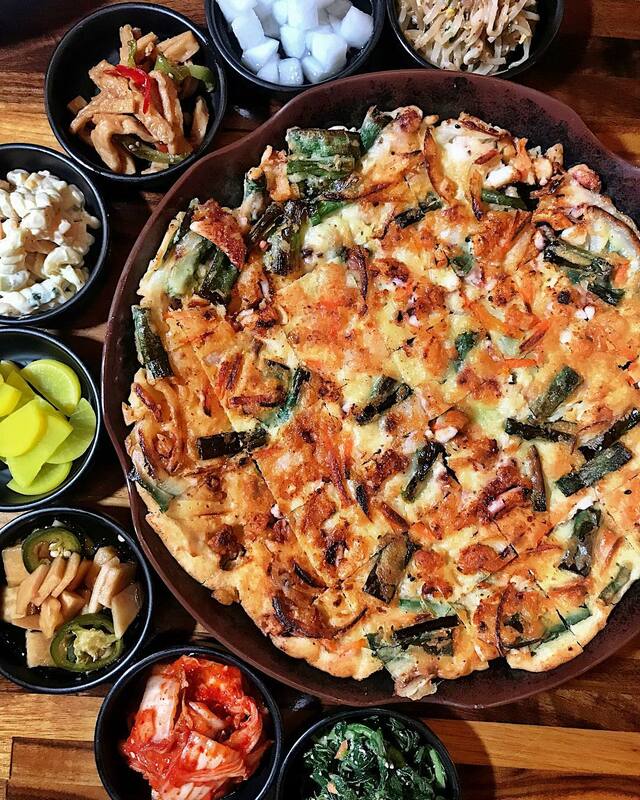 Among them, one of the more popular is Haemul Pajeon. It’s Pajeon with many kinds of seafood as topping. There is also Dongnae Pajeon, its topping combines meat and seafood. You can experience your favorite kind of Pajeon at Seoul’s multiple food stands. They usually cost 4-10,000 Won (US$ 3.50-9.00) depending on the variation of the dish. Gimbap or Kimbap is a Korean street food item made from cooked rice and other ingredients rolled in sheets of dried laver seaweed. People often slice the roll into bite-sized pieces before serving. If you come to Korea and leave without having tried Gimbap then it’s really a regret. 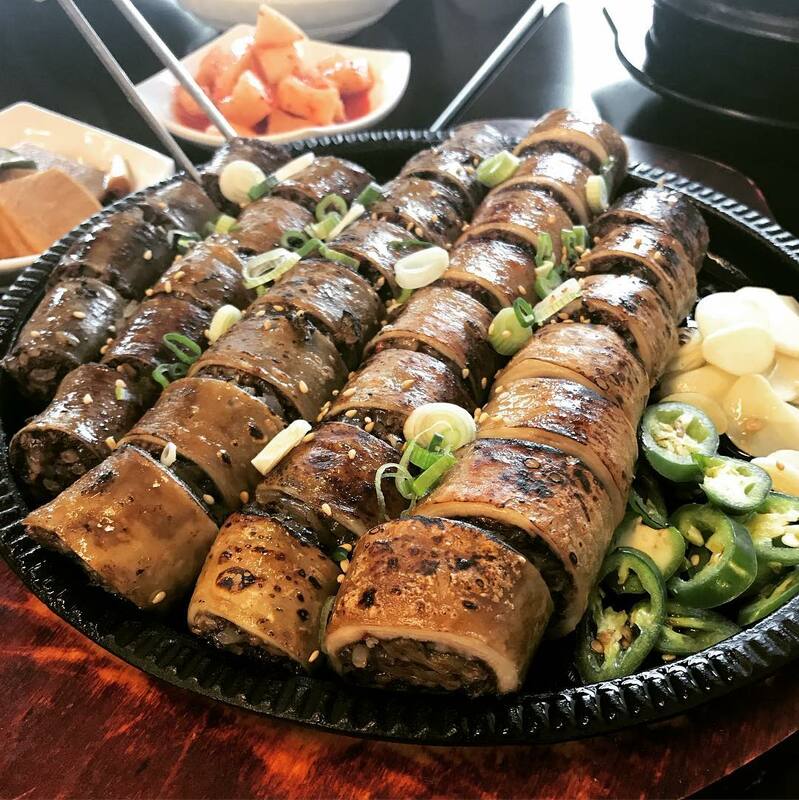 The most common form of Gimbap uses short-grain white rice, while some other variations use brown rice, black rice, other kinds of grain can also serve as filling. Alongside the rice, the filling may also include cheese, squid, carrot, egg, tuna… with sesame seeds sprinkled on top. Some may think that Gimbap is similar to a sushi roll, but they’re very distinctive in their own ways. Rice in a sushi roll is often mixed with vinegar, while Gimbap’s rice will be mixed with sesame oil. Another difference is the filling, sushi roll will have fresh filling such as seafood, mushroom… and Gimbap’s fillings are cooked. You can have Gimbap either at street food stalls or in restaurants. They have restaurants dedicated to Gimbap as well. The price is pretty reasonable, for just under 5,500 Won (US$ 5.00) you can experience this great dish. Jajangmyeon is a noodle dish with chunjang (sweet bean sauce), pork and vegetable topping. There’s also a variant of the dish, which has seafood as its topping. It’s very chewy, rich, flavorful and saucy. You can say that it’s the Korean street food version of spaghetti. At first glance, this black noodle may spook you. 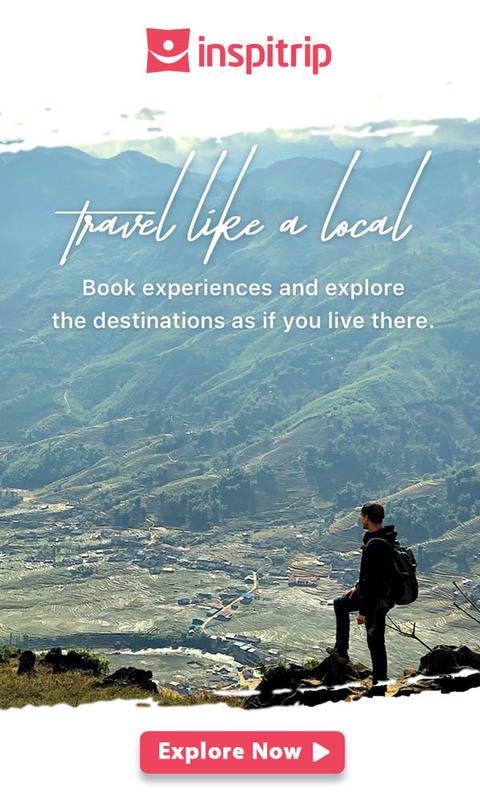 But trust me, if you could just get over its appearance, the experience is absolutely worth it. In Korea, people eat this dish the most on “Black day”. This is Korea’s unofficial holiday and mostly single people celebrate this holiday. People who didn’t receive gifts on Valentine’s day and White Valentine will gather on April 14 and have this dish together. Besides eating food with black color, people also wear black clothes. 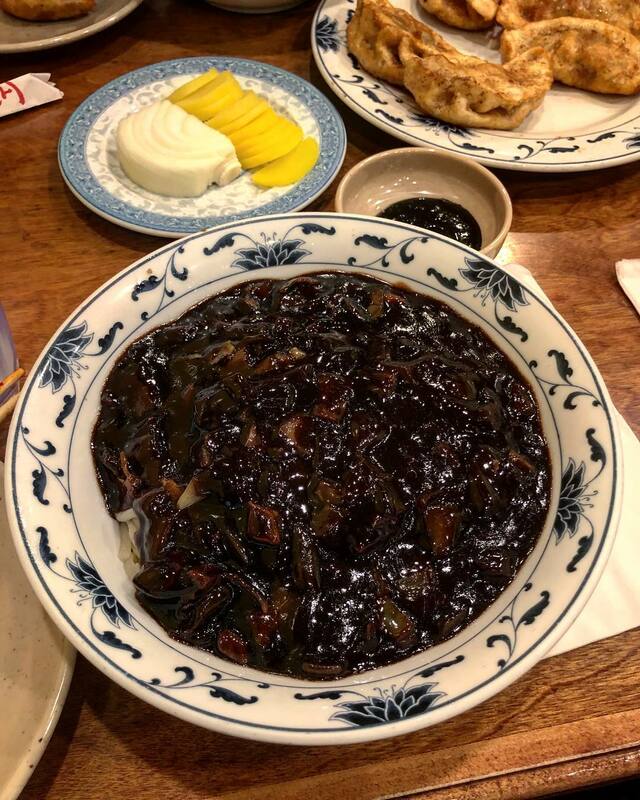 Nowadays, you can enjoy Jajangmyeon all year round in food stalls and restaurants, not just on special occasions. It costs around 5-10,000 Won (US$ 5.00-9.25) at food stalls, and 10-50,000 Won (US$ 9.25-46.00) in restaurants. After filling your stomach with meat and vegetables, I think it’s time to start having some desserts. And in Korea, especially Seoul, one of the best desserts that you can have is ice cream. There are so many kinds of ice cream in Korea and to find a flavor that you won’t like would be a difficult mission. If you’re into ice cream and want to try every flavor then you should allocate a few days just to taste them. One of the more modern forms of ice cream is the Cane ice cream. It’s a new addition to Seoul’s, already massive, ice cream collection. 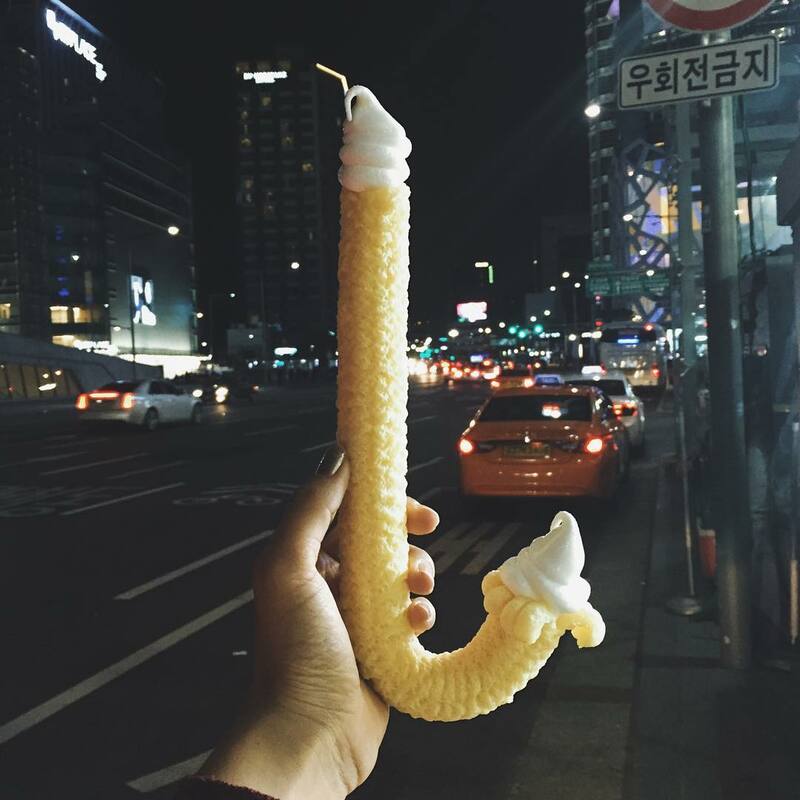 It has a huge cane-shaped rice cracker filled with ice cream. Then, there is their massive sundae twirl in many flavors. Another favorite is ice cream with fish-shaped waffles casing, it’s cute, it’s refreshing, and it will definitely satisfy you. If you like shaved ice, prepare to have shaved ice like never before. This dish is basically shaved ice with red beans, rice cakes, and syrups topping. People often enjoy it in hot summer days, but you can have it at some cafes all years round. There are so many variations of Patbingsu over the years. Some of the trendy variants include coffee and green tea Patbingsu with ice cream, fruits as topping. Sometimes they can put it in a cup to serve as a drink. 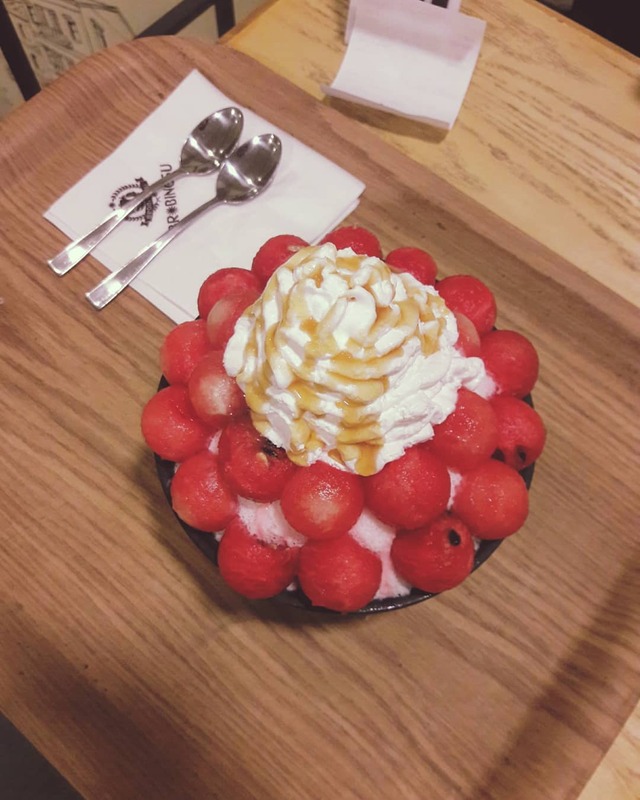 If you want to try something a bit milder, just try the classic Patbingsu. Nothing can go wrong with the classic. You want to have some juice and you’re in a hurry? Say no more! 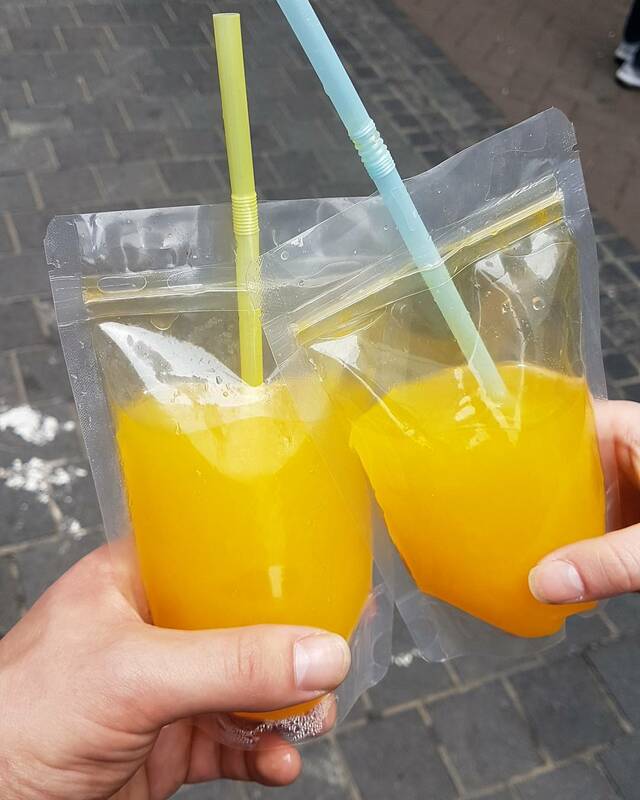 Seoul’s “juice in a bag” is certainly the choice you need. At various stands in Seoul, you can see juice being made in front of you, so you won’t have to worry about food safety. It’s a great choice if you want to grab a quick drink before continuing your Korean street food quest. Nothing quenches the thirst and give you nutrition like freshly squeezed fruit juice.